Kevelaer, Germany -- Hendrik Busman, a merchant, knelt in prayer one day beside the wayside shrine just outside of Kevelaer. Suddenly he heard a mysterious voice asking him to build a little chapel on the spot. This occurrence was repeated twice. In the same year Hendrik°s wife Mechel was offered to buy a picture of Our Lady of Luxembourg. Shortly afterwards, Mechel had a vision during the night: in a clear light, she saw a little chapel with the very same picture inside. When Hendrik Busman learned of this, he hesitated no longer. The little chapel was built in May 1642 and the image of mercy placed inside. The first pilgrims came to Kevelaer that same day. An annual tradition, said to date from the year 1733, is the walk from Bocholt to Kevelaer. Men and women of all ages travel the 30 miles in one day. About a thousand people take part in this pilgrimage every year. 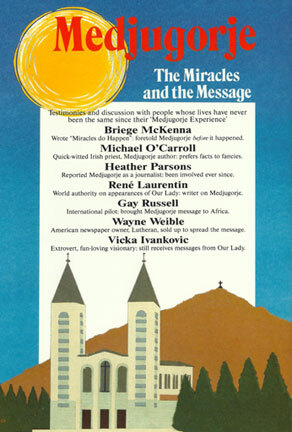 Medjugorje, Bosnia -- On June 24th, 1981, two young girls hiked up the mountain behind their house in search of sheep, in the small village of Medjugorje, in former Yugoslavia. Suddenly they were overcome by a huge display of light and color, and the Virgin Mary appeared before them. Shocked and fearful, they ran back down the mountain to fetch their friends. Six youngsters then returned to the mountain where they witnessed the apparition once again. Medjugorje is in that part of Yugoslavia now called Bosnia-Hercegovina, a region destroyed by the civil war. It is a miracle that the village itself is still intact, without doubt a sign of Mary°s continual presence, and of her message of peace. Pilgrims now come here from every corner of the globe. Vicka, one of the children to whom the Virgin appeared, still lives in one of the hamlets near Medjugorje, and several times a week she emerges from her home to address the pilgrims. 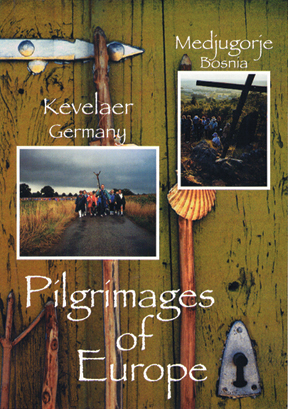 Includes previews of the other ten pilgrimages, available on the other five DVDs in the collection.